Managing document output processes is one of the most complex steps in customer communications. Companies are looking for a single solution that is able to sort, merge and split document jobs, manage bar codes, insert technical information, attach documents and handle different input and output channels. Companies also don’t want to have to rely on scarce programming resources or their provider for any configuration task. 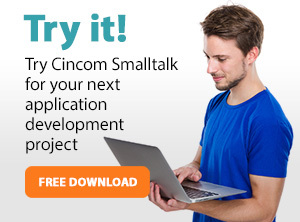 Cincom ChannelStream is a comprehensive and unique tool that integrates streams coming from different document management systems and enterprise systems. This document output management system enables you to leverage your existing legacy infrastructure—without any programming. It is an easy-to-use tool that empowers business users to enhance existing documents, test and preview them, manage their output through any desired channel and track all documents across the entire output process. ChannelStream provides critical features to fulfill—and even exceed—your expectations, particularly in ever-changing markets with increasing legal regulations. Business users can thus shorten the delivery cycle and maximize the cost savings possible from using an output management system. Cincom’s deep knowledge of both our environment and our market was impressive and has allowed them to deliver a product exactly meeting our requirements. Compared with our previous setup, Cincom ChannelStream has delivered us a stable and easy-to-use output management system, allowing us to respond rapidly to the changing business conditions. Jan Doumen, IT Director, Allianz Belgium n.v.